The Animas River is, quite literally, the artery of Durango. Heck, it’s why the town exists; the Denver and Rio Grande Railroad Company needed to serve the burgeoning San Juan mining district, and the company needed water, so the railroad founded Durango along the banks of the Animas River in 1880. 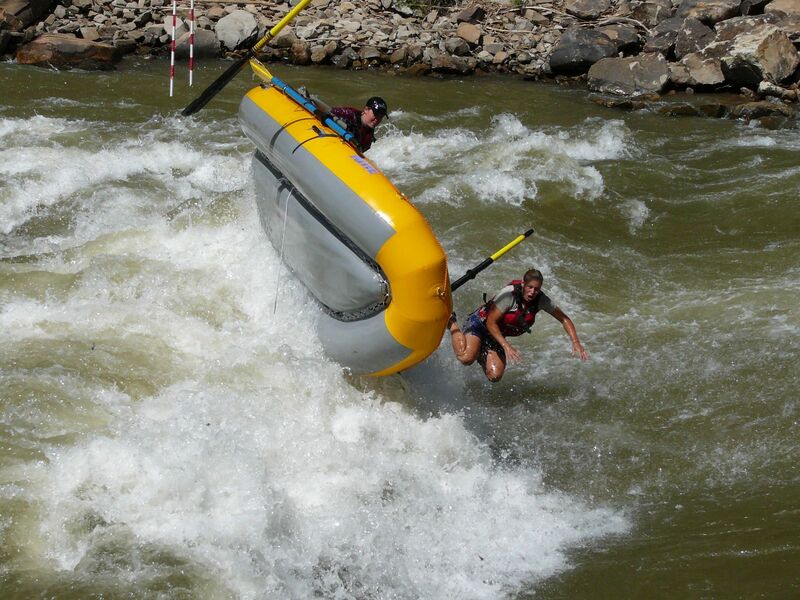 Today, the Animas River is still the lifeblood of the town, and the annual Animas Days festival honors all that the river does for the city — rafting, kayaking, tubing and even surfing — and makes sure the river still feels special. Animas Days kicks off at 6:30 p.m. Thursday, May 28, with a kickoff party and film night designed to “celebrate local wild rivers.” A series of short paddling films will be shown at the Smiley Building Theater. Doors open at 5:30 p.m., and the show starts at 6:30 p.m. Things really get wet starting Friday and Saturday with a series of slalom and freestyle surfing, kayaking and standup paddle boarding competitions, raft races and just-for-fun games like dog fetching and best dog trick on dry land. Saturday is the big day with live music starting at 11 a.m. Saturday at Santa Rita Park, and the beer garden opening at noon with Ska beer and alcohol sales. More fun comes around Saturday night with the river parade at 5 p.m., when costumed crazies float through the whitewater park at Santa Rita Park. The fun continues with the inflatable rodeo at 6:30 p.m. when it’s a no-holds-barred surfing competition among people riding anything inflatable: tubes, dolphins, rafts — may the best blow-up win. The late-night dance party starts at 10 p.m. at The Balcony Bar & Grill Backstage, 600 Main St., with music from Soul Atomic and DJ divaDanielle. Check out the Animas Days website for a full schedule of events, and while you’re in town for the wet-‘n’-wild fun, be sure to stay with us at the Durango Quality Inn. We’re not stingy with the towels.